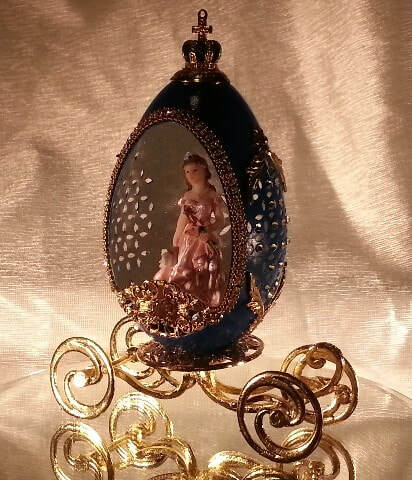 ​ 7 1/2" high by 8 1/2" wide. 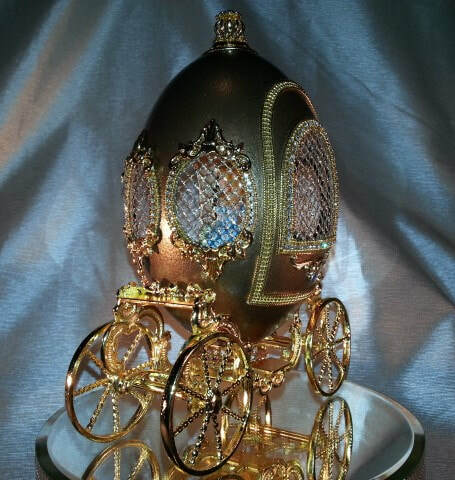 A Rhea egg is hand cut and turned into a beautiful carriage as the egg sits on a beautiful gold plated coach stand, with our princess inside. 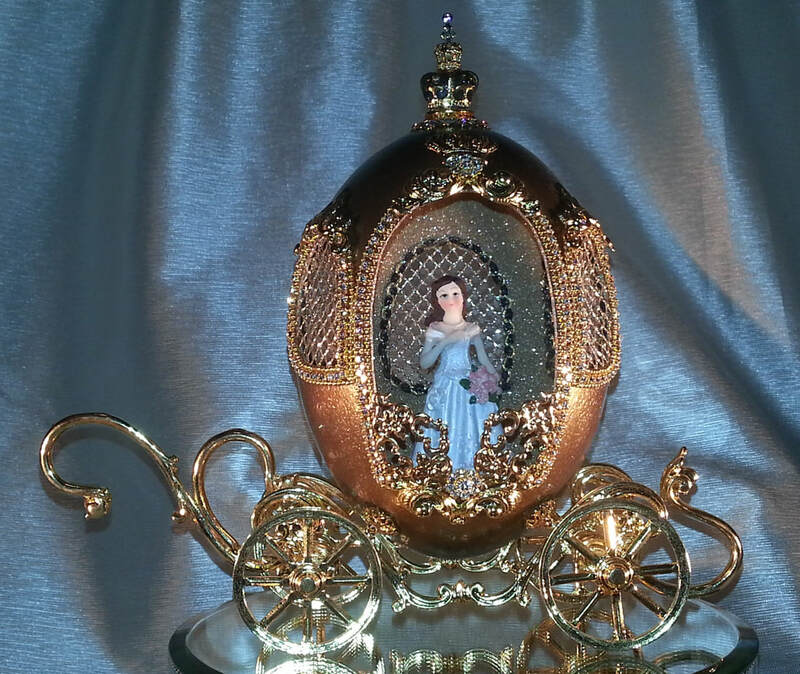 The carriage has hand cut doors and windows accented with Austrian crystals and Swarovski crystals. 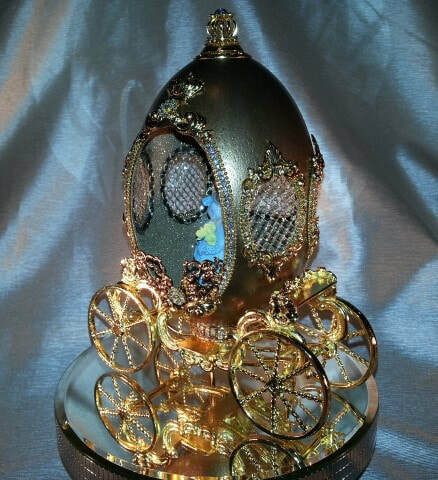 The gold crown sits on tops of our carriage and is ready for our princess to take a ride to her castle. 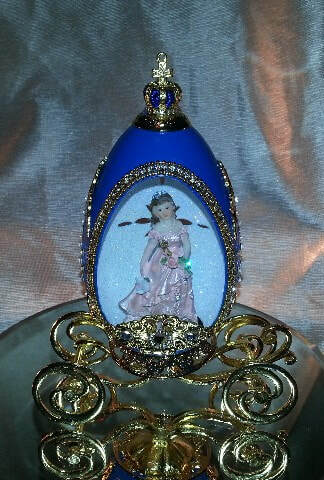 5 1/2" high by 4 1/2" wide. 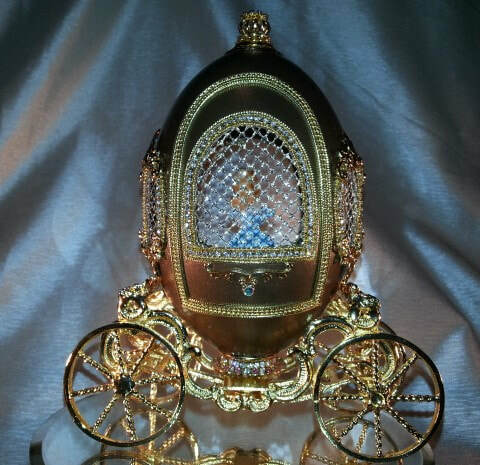 ​Elegant goose egg coach is hand cut with a beautiful lattice design on all sides of this design, giving you a wonderful view of our fairy tale princess inside. 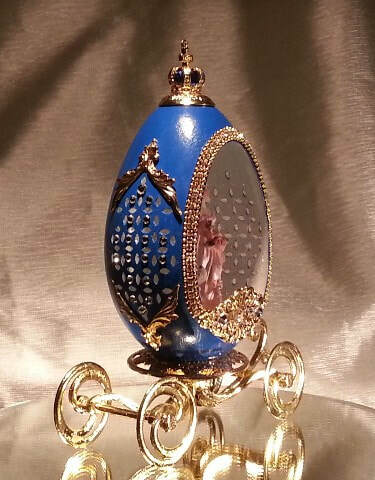 The front is trimmed with an Austrian crystal chain and topped with a crystal crown finial. 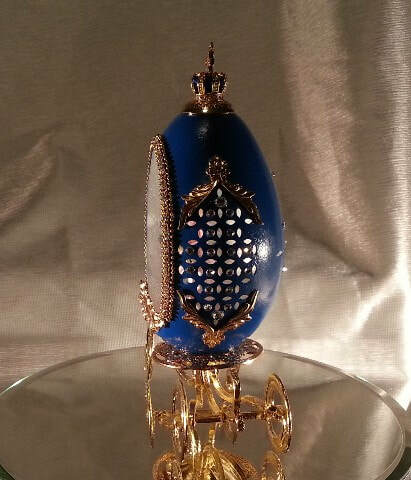 The sides and back are accented with Swarovski crystals, making this design a coach to remember. 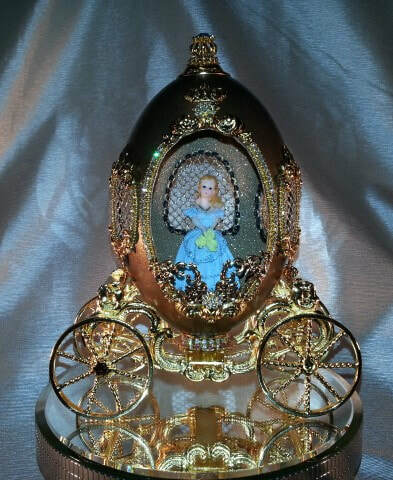 The egg is attached to a gold plated coach for any princess outing.